Today we are going to tell you about the Mülheim Association that has started using ONLYOFFICE to improve online collaboration among the Pentecostal fellowship members across Germany. In this article vicar, Lennart Barfod shares his team experience. Mülheim Association of Free Churches and Evangelical Communities is organized into 45 local communities and counts about 3,700 members. 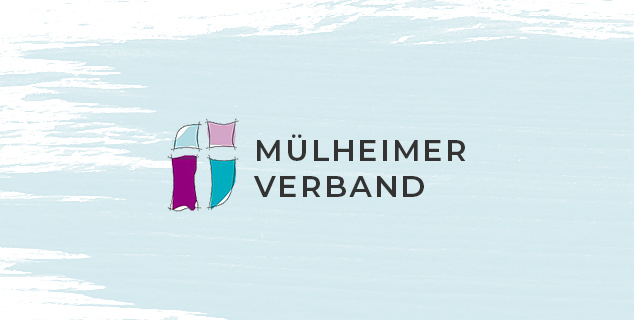 The Mülheim Association is a full member of the Association of Evangelical Free Churches (VEF), and since 2007 it is a member of the Christian Churches Council in Germany. A high level of data security and safe data processing is really important for us! Especially compliance with our own church data protection regulations (MV-DSO – in accordance with GDPR). Therefore, the association relies on hardware (server, web hosting) and software maintained and secured by themselves in Germany. Due to the new data protection regulations of the MV-DSO, we have to handle the data very carefully. That’s why we process the data ourselves and host it on a German server ensuring all security measures are taken. Running ONLYOFFICE on your private network, you can be sure your data is safe, and no one could access it. GDPR compliance and a wide range of security tools and services help you get a full control over sensible data. Searching for online collaboration and groupware, the Mülheim Association members came across ONLYOFFICE and decided to test its integration with their Nextcloud instance. A while later, they took a decision to try the Enterprise solution. “Since our team is living and working in different locations, and we hold not so many team meetings, it’s important for us to be able to prepare our sessions collaborating on documents remotely. Multiple users can work together at the same time with office documents without any synchronization issues, such as appeared e.g. by using Dropbox”, says Lennart Barfod. We implemented ONLYOFFICE not so long ago, but the features and capabilities seem to be really diverse. project management tools with the ability to define tasks and milestones. Would like to host a secure office suite on your private network? Try ONLYOFFICE Enterprise Edition, or contact our sales department to learn about various options. Get inspired and read other success stories of our customers.